Leading up to Yom Kippur, we'll discuss the three common terms for forgiveness in Hebrew. Today we'll begin with selicha (or slicha) סליחה. 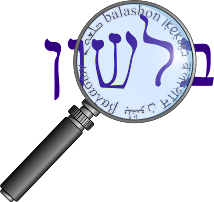 The root סלח appears in the Tanach numerous times, always meaning "to forgive". According to Klein, the word is related to Akkadian salahu, meaning "to sprinkle." We see a similar root in Rabbinic Hebrew - זלח , which also means "to sprinkle, to pour, to drip". According to Klein, זלח is also related to זלג - which again "to drip, to flow" - often referring to tears. The word for fork - mazleg מזלג - is also related to this root. Klein writes that it is related to Arabic zalaja - "he glided" and mizlaj - "sliding bolt". The word selichah comes from the Akkadian word salachu which means to sprinkle water. Water, of course, is a universal symbol of purity, and sprinkling is used in many purification rites. Selichah, then, acts as a kind of deodorizer, not removing sin, but making the reality of it easier to bear. I think this makes sense. Unlike mechila (which we'll look at tomorrow), selicha is only used in relation to sin (and perhaps exclusively granted by God), so a sense of "purification" for the word is appropriate. Interestingly, the Arabic word sulha, meaning "reconciliation" is not related to selicha. The Arabic root salah means, according to Stahl, "to fix". He hints that it is perhaps therefore related to the Hebrew root צלח - meaning "to succeed."